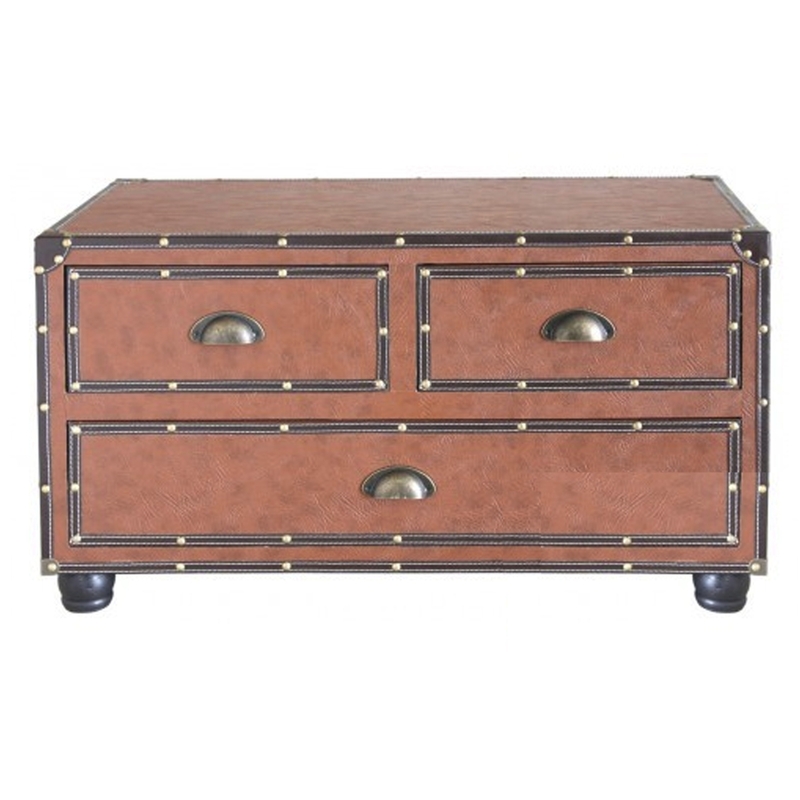 Add a modern touch to your home with this stylish Brown Leather Cabinet. Complete with a brown leather exterior it also includes three spacious drawers for all your storage needs. The golden handles along side the brown leather give this beautiful cabinet its modern feel and it will fit perfectly in any room in your home.